On-demand transportation have become synonymous with taxi booking apps. Just like we hail an Uber, we can use a bike taxi app and request a bike ride to the destination. Bike sharing as an idea isn’t new. What is different is the way these rides can be accessed today. Aggregating bikes on a single mobile app platform and making them available on demand is a much smarter approach. 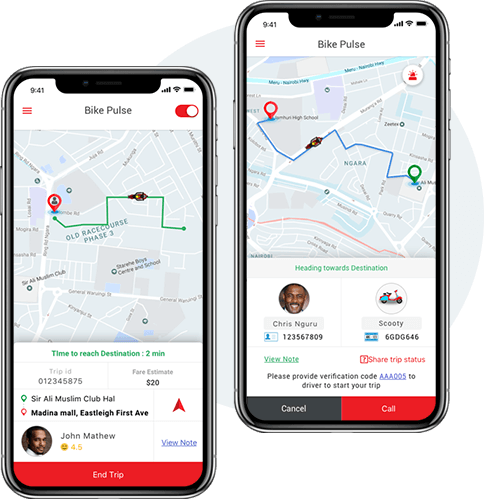 Bike taxis have been gaining traction through either standalone bike taxi apps or as an additional option in already popular cab-hailing apps in Asian countries like Indonesia, Thailand, India, Vietnam, Cambodia. 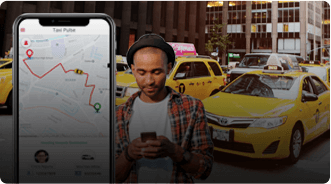 To help businesses tap into this huge market opportunity we provide a feature-packed, custom bike taxi app development solution that can offer the same personalized app experiences like Ola Bike, Rapido, uberMOTO, and others. We are excited about the potential and opportunities that on-demand app-based bike taxis offer. We can provide you with right technology guidance and successfully carry out a tailored bike taxi app development project lead by our in-house team of on-demand app development experts. Passenger provides pickup and drop details and request a ride. The biker accepts the ride request and reach passenger’s provided location. Once the trip ends, passenger can pay by cash, debit card, or mobile wallet. Admins can view and manage every biker and vehicle from a central dashboard. A bike-taxi app solution with all the key features and a comprehensive UI for passengers to make seamless bookings and easier payments. A seamless flow with a few taps needed to get a confirmed bike taxi booking. Passengers can track their ride in real-time and stay updated with the status. Passengers can either pay upfront or after completing the ride from a range of payment methods. Passengers can provide their ratings and reviews to help you improve your services. Dedicated section for passengers to easily manage all their trips – upcoming and past. Real-time updates for passengers to keep the entire journey experience smooth. 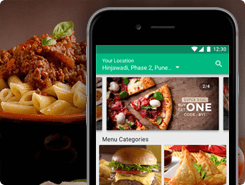 Passengers can easily apply applicable discount codes when booking a ride. Unique referral code for each user to share with others for rewards and credits. Passengers can contact their driver to coordinate a pickup when needed. Easy access to customer support details for passenger queries from the app. 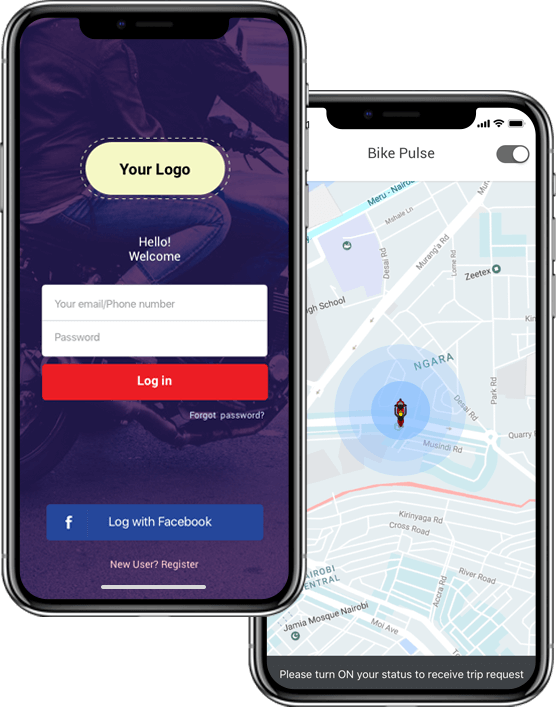 A dedicated app for bike-taxi drivers to manage bookings, payments, passenger details, pickup stops, navigation, and more. Drivers can quickly add the necessary details and request a signup. Drivers can mark themselves online or offline anytime and stay flexible. Drivers receive notifications on their app when a booking is confirmed. Built-in navigation with Google maps provides the best route and ETA information. Drivers get notified for new requests with pickup details. Drivers mark when arriving, start, and end a trip to get automated bills. 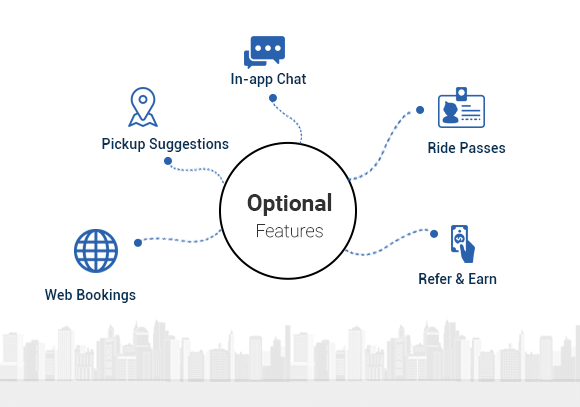 Intuitive interface to accept rides in the limited time frame. Drivers can manage their account details, get an integrated report on earnings, and more. Drivers can call passengers for any clarification on pickup location. Drivers also get the option to rate their rides and flag bad customers and behavior. Drivers get useful stats and insights on their trips, performance, and feedback. Drivers also get the option to cancel a trip from their end when required. 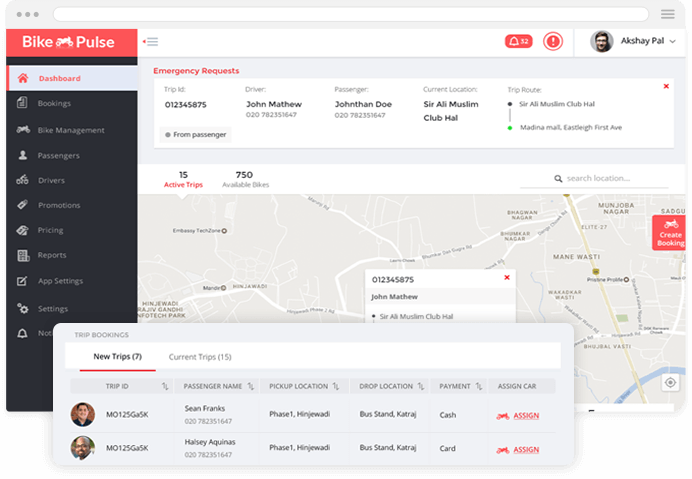 An easy-to-use web-based admin console to manage all aspects of your bike-taxi booking platform. Get quick summary and stats of your operations and performance. 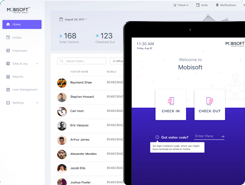 Add drivers, review signup requests, set commission rates, and more. Add and manage the Passenger details, view their booking requests, queries, and more. Manage vehicle information and add new bikes from an easy-to-use panel. Admins can track their entire bike taxi fleet on a map in real-time with the relevant details. Manage settings and content for sending push notifications, SMS alerts, and email to Passenger and drivers. View Passenger feedback on their overall riding experience. Get actionable insights into your business operations for smarter decision making. 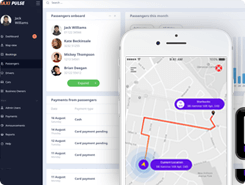 Allow in-app conversations between passengers, drivers, and support team. Option to issue ride passes that offers multiple rides at discounted rates. Promote your bike-taxi app by offering referral rewards to users. 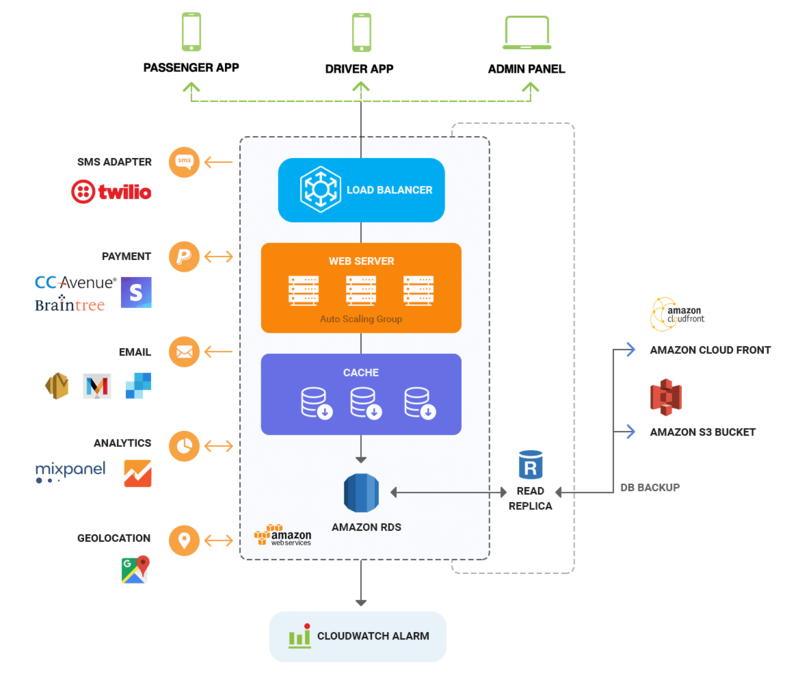 Integrate with popular third-party support systems that can handle all queries. We put efforts to bring the power of technology to businesses and startups to reinvent transportation. Complete white label solution with your business logo, branding, and option for custom features and integrations. Our solution will be deployed on your private servers to provide full control over the valuable user data generated. A ready to deploy base bike taxi solution for a faster time to market, saving valuable time, and money. Provides optimal trips for both drivers and riders to ensure a sustainable business model. Connect your platform with other booking services like cabs, flight bookings, hotel bookings, and more. Multi-language and multi-currency support ensures that the bike taxi solution can work in many countries across the globe. 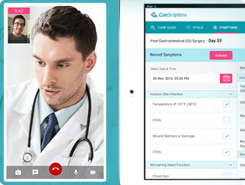 Thoughtfully designed app and web interfaces to offer an amazing user experience to all the stakeholders. We strive to help you achieve the maximum ROI with a dedicated team from launch to support and maintenance. 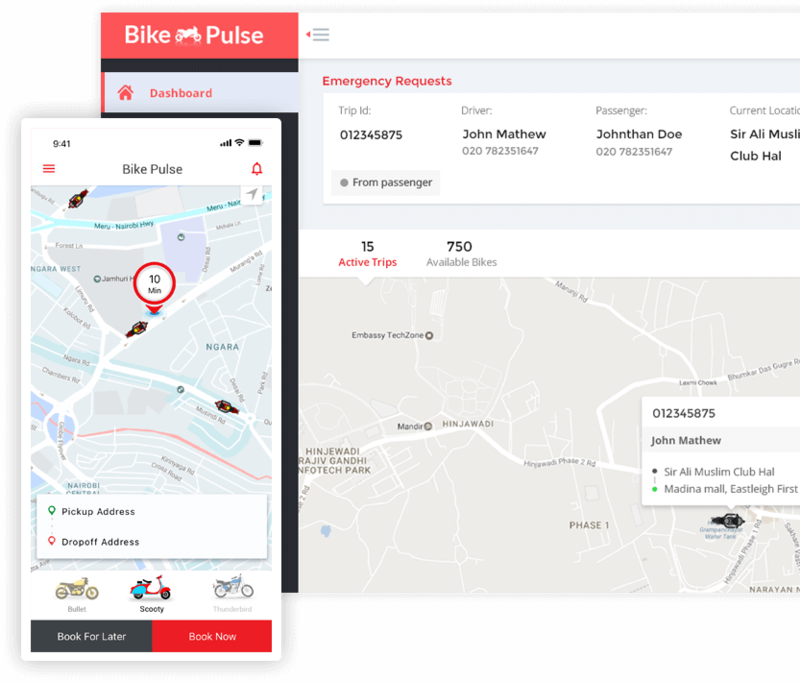 A personalized engagement model for startups and entrepreneurs to build their own bike taxi booking platform. 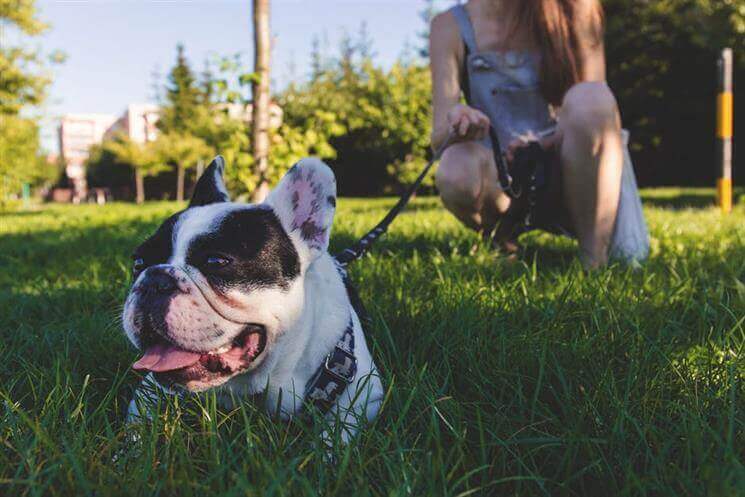 Understand and create an execution plan based on the client’s requirements. Push notifications, email, and SMS alerts setup. On-premise or cloud deployment option as per the business requirements. Full data security audit to meet regulations and compliance standards. Successfully publishing the apps on Google Play Store and Apple App Store. 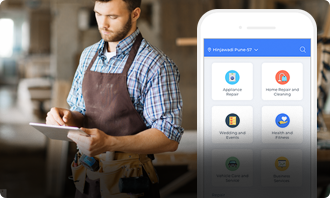 A comprehensive professional service app development solution built with a robust technology stack and customization options to help meet your unique business model. We offer a range of white label clone development solutions for popular on-demand apps and platforms. 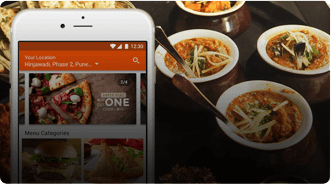 Uber clone app development solution that can be customized as per your business requirements. 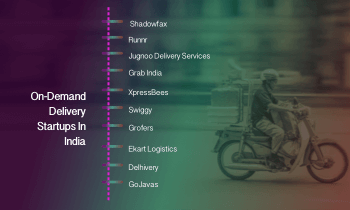 Run your on-demand service business with confidence.